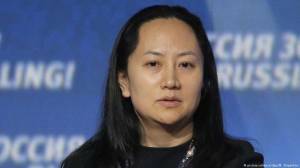 The chief financial officer of China's Huawei Technologies, Meng Wanzhou, was arrested in Vancouver on December 1 and faces extradition to the United States, Canada's Department of Justice said on Wednesday. 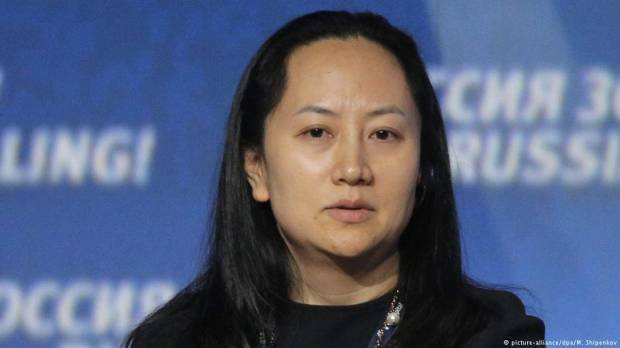 Huawei issued a statement saying Meng, also the company's deputy chairman and the daughter of company founder Ren Zhengfei, was detained while changing flights in Canada, in order to face "unspecified charges" in New York. The tech company said it complies with all laws and rules where it operates. China's foreign ministry urged Canada and the US to "clarify" the reason for Meng's detention. "We have made solemn representations to Canada and the US, demanding that both parties immediately clarify the reasons for the detention, and immediately release the detainee to protect the person's legal rights," ministry spokesman Geng Shuang told a regular press briefing. News of the arrest sent shockwaves through stock markets around the globe, renewing worries about US-China trade tensions. Wall Street opened sharply lower on Thursday, with the Dow falling by 1.6 percent. Germany's blue-chip DAX index plunged by 3 percent in the afternoon — dropping to its lowest level in two years before recovering slightly. Stocks on both the Chinese mainland and in Hong Kong tumbled after news of the arrest, with tech firms taking the brunt of the selling of shares. Hong Kong's Hang Seng Index dropped 2.47 percent, while the Shanghai Composite Index fell 1.68 percent.